This is Kelsey Lee Keogh’s second year with Ten Grands. She is a pianist in the greater Seattle area, and can be found regularly performing at SkyCity Restaurant at the Space Needle, Canlis and The Bellevue Collection. 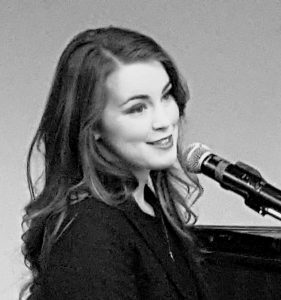 In these places, Kelsey plays a wide variety of repertoire, including romantic jazz standards, classic favorites, contemporary pop songs, etc. During her formative years, she was classically trained, and tangentially explored several other styles of music, including jazz, rock and improvisational solo piano. She enjoys incorporating these various influences into her style of playing. Also a composer, she will soon be releasing an album of original pieces. Kelsey is passionate about supporting and promoting other artists, and actively networks with musicians throughout the United States and abroad. To aid in this end, she earned a BA in Communications and Media Studies from the University of Washington. For Kelsey, being involved in the creative process and celebration of music making is an incredibly rewarding endeavor! Steve Dewalt (fellow Rotarian-Bellevue Club) and Kathy Fahlman-Dewalt, Co-Founders and Executive Producers of Ten Grands Seattle and its Executive Producers will give a program about the importance of music education for every child and what Ten Grands is doing to promote no child left behind in the music world. 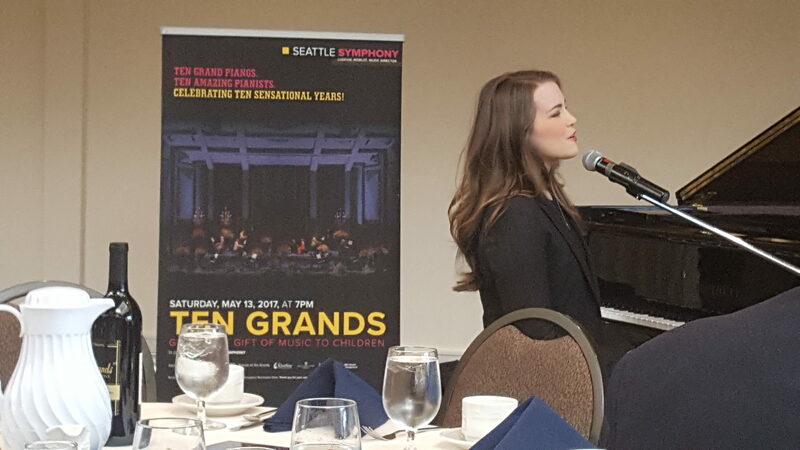 Ten Grands is an annual concert that features 10 grand pianos, 10 world class pianists, a dramatically lit stage, 1500 roses and a lot of goodwill at the Benaroya Hall on May 13th. 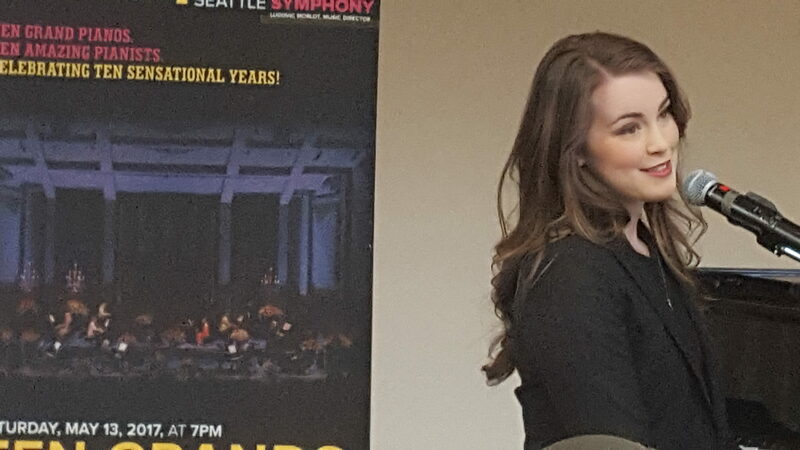 Ten Grands partners with the Seattle Symphony and has raised over 1 million locally to support music education, 65 recipient groups and over 100,000 students a year. 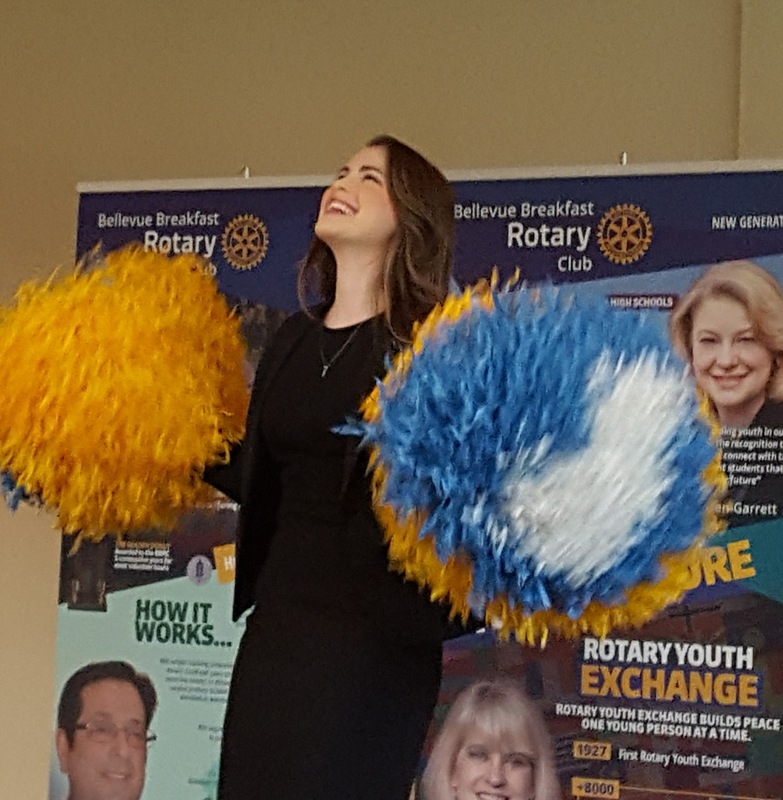 In addition, one of the Ten Grands artists…Kelsey Keogh…will be performing for the Club at the meeting! Learn about Nicole and Jack Gooldy’s uplifting story in living with Autism and the support they gain from Kindering. Then there is the life-changing experience that Kirby Winfield went through with his daughter Kate, who has down syndrome and autism. 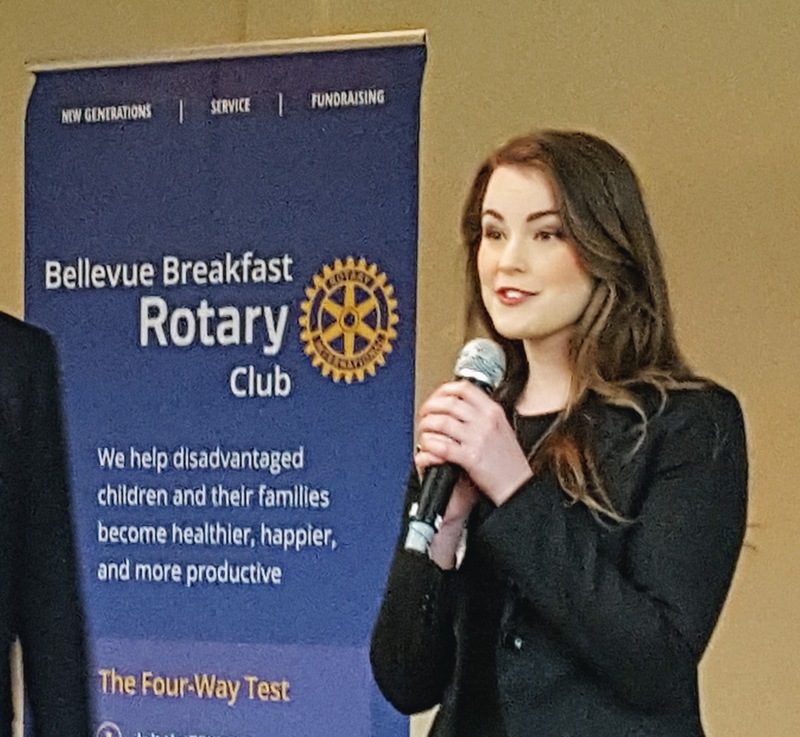 The Bellevue Reporter article has delivered a wonderful story of the lives that we can impact through our work with the All in for Autism event (www.allinforautism.org), which the BBRC organizes each year. Bellevue, WA. 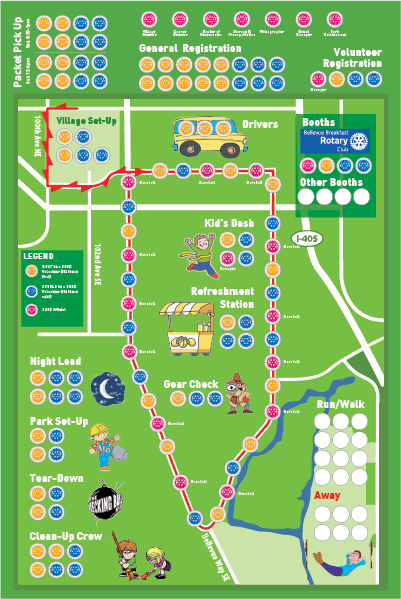 – April 4th, 2017 – The Bellevue Breakfast Rotary Club (BBRC, www.bbrc.net) announced that its time for everyone to get information and register for the 11th annual 5K/10K/Run-Walk and Kids’ Dash, “All in for Autism,” which takes place on Sunday, April 23rd in downtown Bellevue. Everyone, including families, kids and dogs, is encouraged to join the fun with “Mr. Sounder” Zach Scott, Dennis Bounds and friends at this Autism fundraiser which benefits Kindering, Special Olympics Washington and other local charities. Details and registration are available online now at www.AllinforAutism.org. This April 23rd All in for Autism event will be the second time that Dennis Bounds, the former Emmy-winning news anchor from KING5, has teamed with the BBRC and Kindering to serve as the Race’s master of ceremonies. Bounds is lending his voice to highlight the many contributions from the runners, walkers, sponsors and Autism partners during the All in for Autism 5K/10K Run/Walk and Kids’ Dash in downtown Bellevue. The BBRC membership is dedicated to “service above self” and we derive much toward this goal through the contributions of our dynamic membership and local businesses. The club welcomes all interested parties who want to participate, volunteer or donate money to the event to contact us directly via our web: www.AllinforAutism.org. Have you decided what you want to volunteer for on April 23rd? We’re hoping for 100% participation from BBRC members, so if you haven’t signed up for something yet, then hurry – the best spots are going quickly! Sign up online or at the meeting by placing your magnet on an open slot at this week’s meeting.